I know I showed you this sentiment made into a tag just a few days ago, but I had to use it again. This time I wanted to make a congratulations card for an expectant mom. Don't you think the colors are perfect to celebrate a new life who is heading our way? 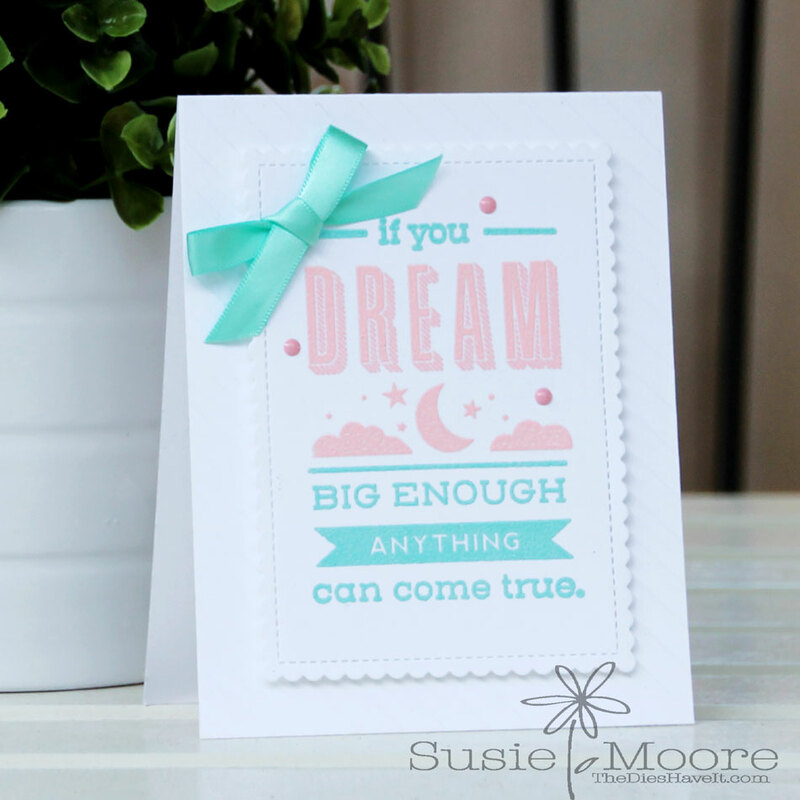 The stamp set I used is called Dream Big and is a $5.00 mini stamp set from PaperTrey Ink. I heated some pink and aqua embossing powders I had on hand and then added a sweet little bow to the top. Enjoy your Saturday and I'll see you again tomorrow!